So nobody's gonna try to discern Kylo's background on that image? @vaderito wrote: So nobody's gonna try to discern Kylo's background on that image? I wish I could! I'm waiting for a better picture to pop up and I'll post it here when it does! Great! Where did you find it? It's to hard to see anything. I'm looking through the forcefriday tags on IG and twitter. Where are the Darkside powered hair care products?! I see part of a First Order symbol in it. I honestly can't see it that well. What do you see? 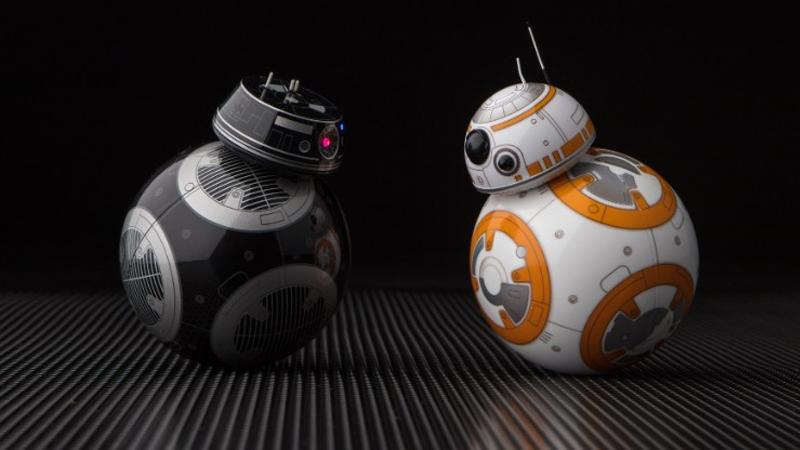 Could BB8 and BB9E get any closer, lol? That's the first picture for the BB ship! he's standing on some platform/ground and then there's lava-like red thing behind that platform/ground. And something above him that looks like a part of FO symbol. 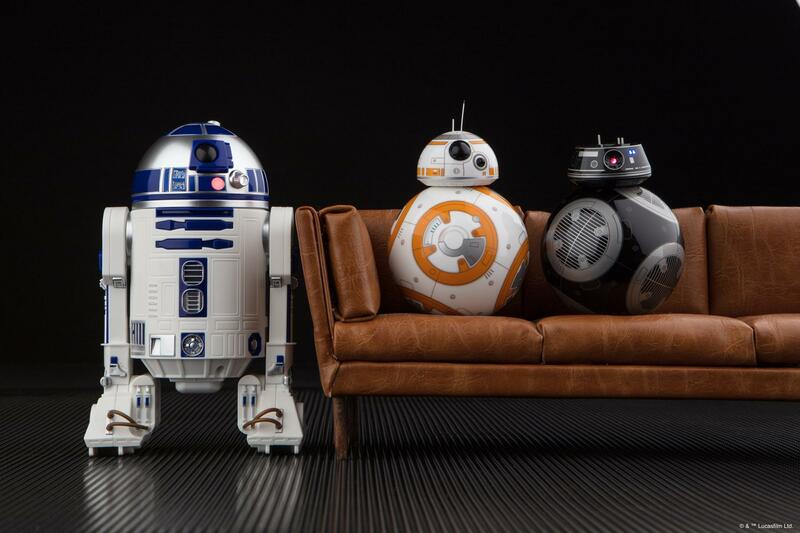 Are we supposed to ship BB8 and BB-H8? Cause I'm totally shipping them! Oh definitely. I'am all for that ship! Every SW gen needs gay droids. Now the Aurebesh translator is needed. What's written on DJ's cap? @Darth_Awakened wrote: Now the Aurebesh translator is needed. What's written on DJ's cap? He really looks like an alleyway drug dealer. 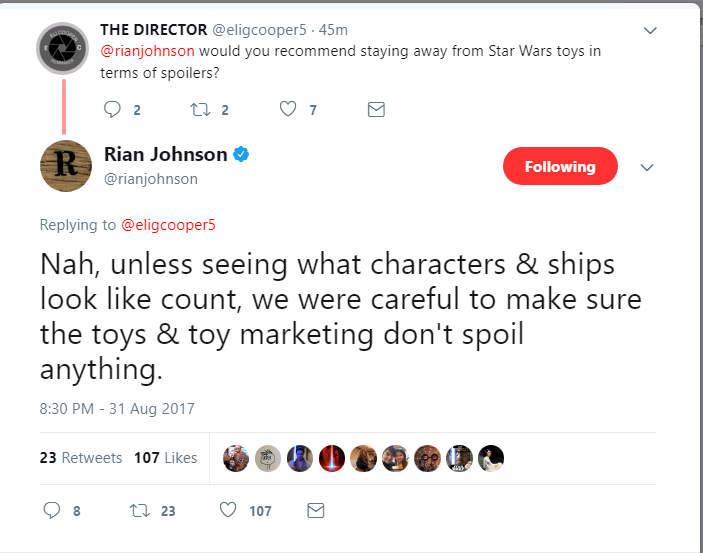 He's probably gonna offer Finn and Rose some spice at half the price. @Helix wrote: Every SW gen needs gay droids. Slash fanfic with those 2 is gonna blow up! Like transformers slash fiction! 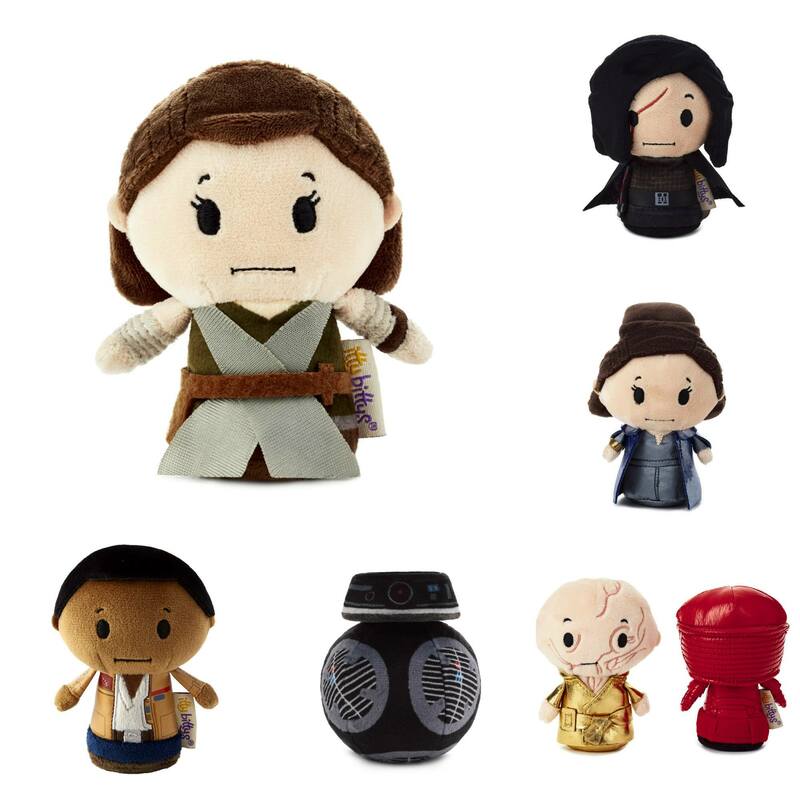 That said, giving Kylo a cute droid on top of his sad wolf cub face is so in the best possible way. Fans couldn't possibly woobify him more than BB-H8. 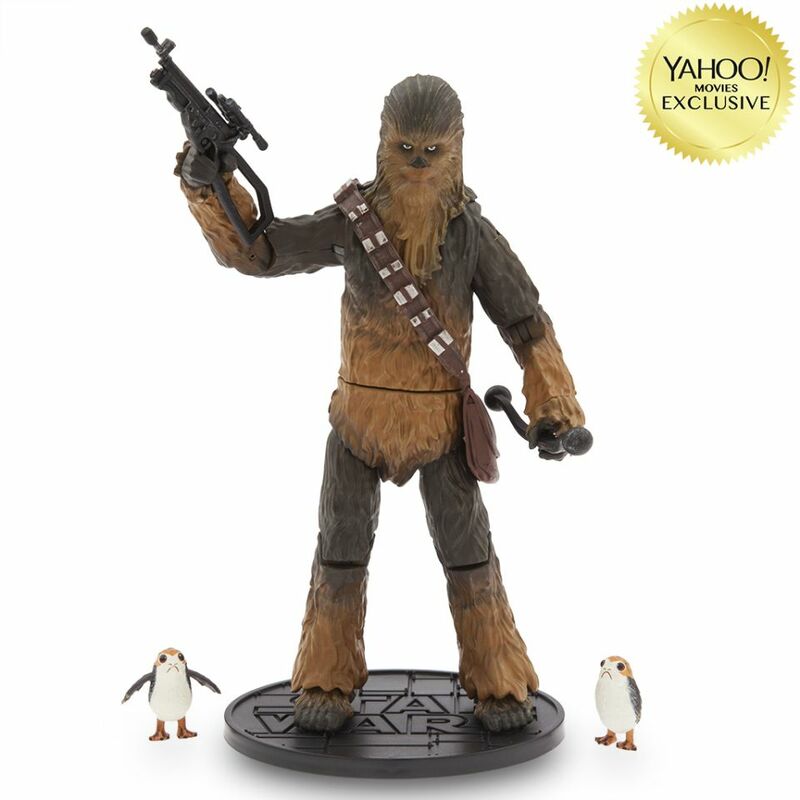 Elite Series Chewie comes with PORGS. and a really creepy expression. He's channeling Norman Bates there. If I go with this: I would say last for letters are J-O-R-N.
Could be wrong. Someone else could give a try. Yes, Jorn as J in DJ. So his first name is Dsomething. I've just checked out Aurebesh font and it matches Jorn. Agreed. As well on D-something as first name. So what happened to the character not having an actual name, then? Perhaps he stole that cap from some D. Jorn. @Darth Dingbat wrote: So what happened to the character not having an actual name, then? Perhaps he stole that cap from some D. Jorn. I forgot about that bit. And I don't remember the source at all. Was it EW?